Are you looking for a professional leather cleaning service in Telford, Shrewsbury or Shropshire? At JL carpet cleaning I am fully trained in all aspects of leather cleaning. From aniline to pigmented upholstery, leather can come in many forms and all need caring for if different ways. Leather needs to be maintained on a regular basis to keep it in peak condition and prolong its life. Over the life of your upholstery dirt and oils build up and if left untreated can lead to the break down of pigments and protective top coats. This can lead to colour loss and damage. Cleaning removes these build ups and restores the leather. As part of our leather sofa cleaning service we also protect the leather with a dedicated protector/conditioner specifically designed for your type of leather finish. This gives you added protection against water based spills allowing you to mop up those little accidents with ruining your upholstery. We also offer a full restoration service where I can fix common problems like cracking, cuts and colour loss. I’m also able to restore colour and re dye furniture to different colours. With all leather jobs, it is important that I visit to check the condition before cleaning can commence. This is free and I can provide you with a non obligation quote once we have inspected the leather. 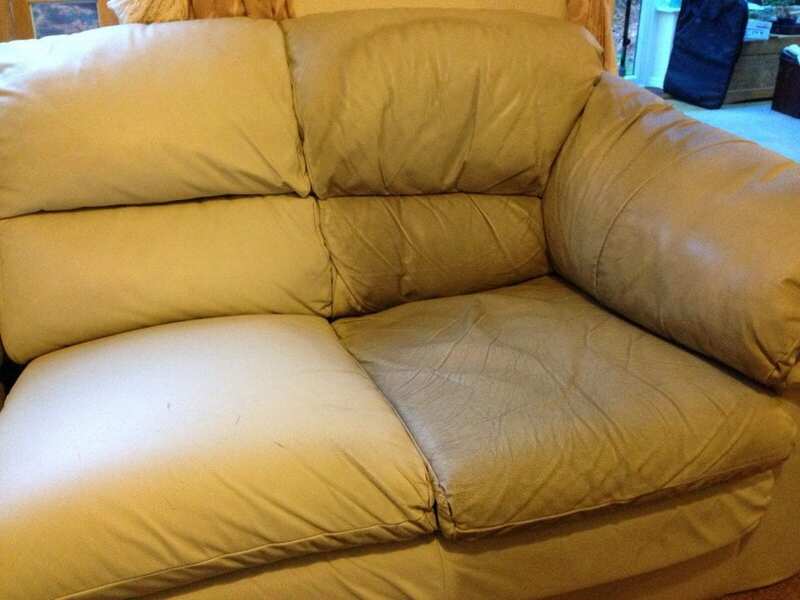 JL carpet cleaning offer a full leather repair and restoration service in Telford, Shrewsbury and Shropshire. have you got some damage on your leather sofa. Maybe pet damage or the colours worn away? If so give us a call today. Alternatively click the image below to be taken to our Shropshire Leather Care website.